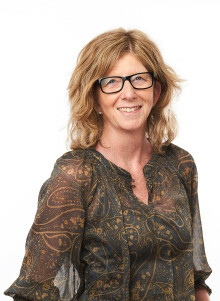 Agneta Marell, Professor in Business Administration at Umeå University, will become President at Jönköping University. 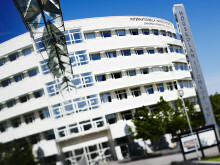 The decision was taken by the Jönköping University Governing Board on 1 June. 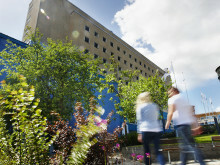 ​Dennis Larsson has been appointed Dean and Managing Director at the School of Health and Welfare from August 2017. A medical diagnosis alone does not provide enough information to plan good dental care for children with disabilities. In a new thesis from The School of Health and Welfare, Jönköping University, Johanna Norderyd investigates the importance of biopsychosocial perspectives for the oral health and dental care of children. In a new PhD thesis from the School of Engineering, Jönköping University, Mirza Cenanovic presents numerical methods for faster and more accurate computations of surface problems. The results are expected to have a future impact in a wide range of industries and Swedish companies within the manufacturing industry are already showing their interest. ​In a new PhD dissertation from Jönköping University, Lotta Wikström has investigated how pain assessment can be used systematically to provide better pain relief, measure health care quality and identify patients at risk at an early stage. Well-performed pain management immediately after surgery means enhanced recovery and reduces the risk of chronic pain. In a thesis from The School of Health and Welfare, Jönköping University, Kerstin Eriksson presents new opportunities for monitoring patient recovery by means of patients’ reported pain values. This book examines entrepreneurship in emerging economies and developing countries and its unique set of working attitudes, modes of thinking, social practices and processes. High-tech health care settings, such as radiology and anesthesia departments, can be a frightening environment for children. This is especially true for children with neurodevelopmental disorders, such as autism spectrum disorder. In a new PhD thesis from Jönköping University, Ingalill Gimbler Berglund has developed guidelines to improve the care of these children. Robots and computers are replacing people everywhere; doctors, pilots, even journalists. Is this leading to a dystopian society, or could it be something positive? With this in mind, researchers from the Media Management and Transformation Centre at Jönköping International Business School, Jönköping University have launched the project DPer News (Digital Personalization of the News). Ingrid Wadskog has worked as Managing Director and Dean at School of Engineering since September 15, 2016, during the recruitment process. Among several interesting candidates, Ingrid Wadskog was chosen, in consultation with the electoral committee, to stay in the position. 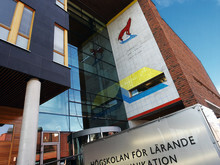 ​Children and adolescents who come unaccompanied to Sweden from another country are often placed in residential care. In a new PhD thesis from the School of Health and Welfare, Jönköping University, Åsa Söderqvist has interviewed young adults about their experience when it is time to move away from care and start an independent life. 20 percent of all children in Sweden have a long-term condition, such as diabetes or rheumatic disease. In a new dissertation from the School of Health and Welfare at Jönköping University, Christina Peterson examines how health professionals can use a questionnaire to improve their knowledge about children’s health, but also how the children can get a better understanding of their disease. A unique collaboration between leading Swedish researchers aims to generate knowledge that can contribute to improved life opportunities and increased participation in society for people whose functionality varies and where gender and ethnicity are also in focus. 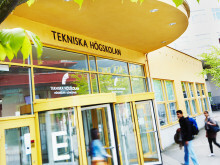 A recent collaboration between the business sector and the School of Engineering at Jönköping University will facilitate the adaption of products to new requirements and strengthen the companies’ competitiveness through new work procedures and IT tools. How does atrial fibrillation affect a couple’s partner relationship? 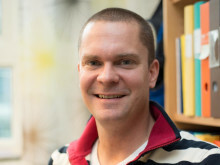 In a new PhD thesis from the School of Health and Welfare, Jönköping University, Tomas Dalteg suggests that partners should be considered and be part of clinical caring activities and rehabilitation. 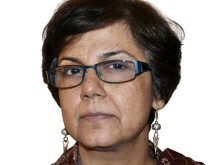 ​Professor at Jönköping University contributes to "Encyclopaedia of Language and Education"
Sangeeta Bagga-Gupta, Professor at the School of Education and Communication, Jönköping University, has contributed to the new edition of "Encyclopaedia of Language and Education". On the theme "Signed Languages in Bilingual Education", Sangeeta Bagga-Gupta presents an expose over the past and current research landscape and front lines. Designers and manufacturers of heavy-duty diesel engines are facing new challenges with recent high environmental friendly low-sulphur fuels. 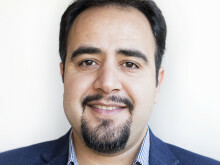 In a new PhD thesis from the School of Engineering, Jönköping University, Rohollah Ghasemi presents new insights regarding the benefits of cast iron materials in Marine and Automotive heavy-duty diesel engines. Swedish universities do not meet the requirements for equity and inclusion. This is the conclusion of a new study published in a special issue on higher education of the international research journal “Informatics”. 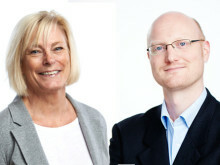 Professor Ethel Brundin and Assistant Professor Markus Plate at Jönköping International Business School and the Centre for Family Enterprise and Ownership have received a substantial research grant for their project Trans-generational continuity of the owning family: identity formation, relationship dynamics and emotional influence.